pute hails from the Kalabari axis of Rivers State, Abonnema Community to be precise. 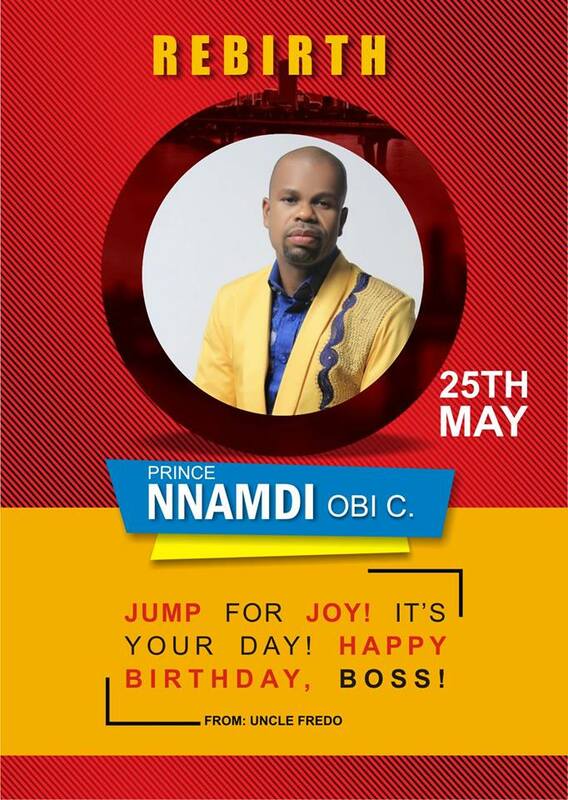 Besides, he has a rich resume that makes him one of the most qualified to rule Rivers State. In the race for the Brick House come 2015, as a governorship aspirant on the platform of the Peoples Democratic Party (PDP), unarguably, his credentials and personality tower above others. 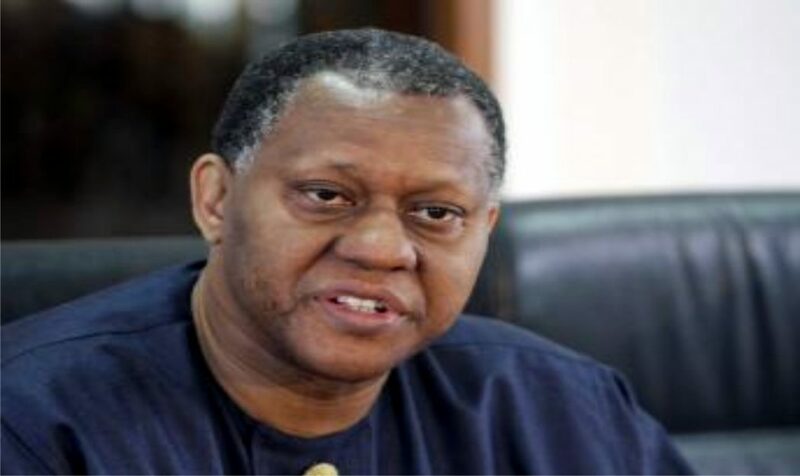 Ajumogobia was former Rivers State Attorney-General and Commissioner for Justice and equally served the Federal Republic of Nigeria as former Minister of State for Petroleum and Minister of Foreign Affairs in the administration of President Goodluck Jonathan. In this interview, the corporate lawyer and international arbitrator gives an insight into his plans for the state and why he is in the race among other sundry issues. Why are you in the guber race? At this critical moment, what type of government does Rivers State need in 2015? First and foremost we need a government that represents the aspirations of all Rivers people. To “conform” is to obey or to comply with ….. Following from that premise what is needed is a Government that will address the needs and yearnings of the ordinary people of Rivers State and our youth in particular. What are your plans to transform the State if elected? 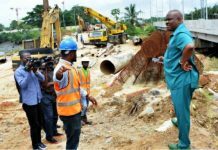 My very detailed plans and proposed programmes are still being prepared by teams of experts across all sectors of the Rivers economy. As I have said elsewhere, my decision to join the contest for the Governorship of the State, only crystalised a few months ago. Still I am able even now to share with you some of the essential elements of my proposed blue print which is still evolving and I daresay will continue to evolve as I consult and interact with the people of the State in the course of my campaign and throughout my tenure as Governor. We will continuously monitor and evaluate our performance across sectors. I have one goal and only one goal and I will state it simply and briefly. It is improving the present circumstances and life opportunities of the Rivers people in a united Nigeria. This is the pivot of all my plans. My Administration will be people centered and the key criteria guiding decision making for policy formulation and implementation will be – a) how will this improve the life of our people b) how it will secure the future for our youth and c) how it will improve the competitiveness of our state in terms of productivity and innovation, not just within Nigeria, but globally? Which areas does the State need priority attention in the next dispensation? The areas of priority are difficult to isolate as several sectors are interconnected and others such as education, health and food security, housing and environment are always absolutely essential priorities. However to my mind, besides promoting reconciliation and unity within the party and our communities, so as to create a peaceful and conducive atmosphere for positive change to occur, the critical area of intervention must be power. Fortunately former Governor Sir (Dr) Peter Odili pioneered the State and indeed the nation’s independent power project initiatives, leaving behind in Rivers State an installed generation capacity of at least 225 megawatts of electricity already in excess of the State’s needs, together with a blue print for expansion to significantly over 300 megawatts in respect of which his successor Rt. Hon. Rotimi Amaechi deserves much credit for following through. In this regard my administration’s task in collaboration with the Federal Government and now the private sector that is saddled with electricity generation and distribution, will be to realise these goals to harness and deliver sustainable, uninterrupted power supply as a matter of the utmost priority. There are however certain precepts and challenges that will inform other priorities and programmes at different stages in the life of the administration. We live in challenging and dynamic times in our state and country. The critical success factors of capital, labour and talent are not constrained by law and geography. The constituent states of Nigeria are engaged in healthy rivalry and competition to attract the very best of these factors. Any state that does not deliver a conducive environment will soon falter and be left behind. 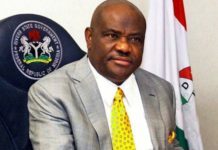 Peace and unity in Rivers State: My first priority will be to engender peace and security; Agriculture and fisheries: we must reinforce the economic value chain by promoting the creation of large – scale agricultural, agro – allied and fisheries processing industries together with enhanced manufacturing capacity to drive innovation and competitiveness. We will create incentives to attract both domestic and foreign direct investment to our state for these purposes; Tourism: In the 1970s, Rivers State attempted to build a vibrant tourism sector. Isaka tourist beach resort was built by the State Government at that time. Since then however, we have ceased to pay serious attention to tourism even though we have some of the most beautiful and pristine beaches in Nigeria. Our river basins are rich in fauna and flora which provide the platform to focus on eco-tourism as a potentially vibrant basis for job creation and the protection of our fragile eco-systems; Science, Technology & Innovation (STI): Our state must prepare to embrace the future. It will be my administration’s priority to make Rivers State the STI hub of the country. Elements of this plan include strengthening our higher educational institutions by reforming them to, create knowledge hubs and incubators as platforms for our young people to innovate and create value. Infrastructure: to improve our competitiveness and attractiveness to investors, infrastructure development will be sustained and enhanced ..
Sound Economic Management: these priorities will not be achieved if the economy is not well managed. Our debt has risen while our revenue efforts have not risen in tandem. We cannot be a State of debtors in perpetuity, especially if we are unable to deliver matching development impact to our people. We will strengthen the Ministry of Finance to ensure that we optimise the allocation of our resources. Finally we will follow the President’s example and act on the First Lady’s urging and campaign for the empowerment of women and pro active inclusion of gender sensitive components in all government programme’s. Youth and other social minorities will also receive attention as will equality of citizenship for all who live in our State. We will take affirmative’ action to ensure that no one’s life opportunities are curtailed by gender, disability, ethnicity or religion. There are obviously many more challenges but these represent some of the key priorities that will immediately concern my administration. Why must PDP in the State respect the principle of rotation in its choice of governorship candidate this time around? Because this is fundamental and I say binding policy of our party. It is the anchor of the contest for elective offices in the PDP. It is why the PDP is the only true national and inclusive party. It is the reason that the PDP is probably the only party in which President Jonathan could have emerged as President of this our Federal Republic even though he comes from Bayelsa State with a population that is under one million people, in a country with a population of 170 million citizens or that former Governor Sir (Dr) Peter Odili could from a relatively small community-Ndoni in Rivers State, emerge as Governor! It is an absolutely fundamental precept of our party. It is what the case I have instituted against the Party is about. I would like the Court to answer a series of questions essentially concerning whether the Constitution of a political party that is required by law to be registered with INEC, contains binding and enforceable prescriptions or whether it is simply a worthless document that has no legal efficacy and can be disregarded with impunity. This is a fundamental legal question that the Courts must answer as part of their important Constitutional role in our nascent democracy. Which ethnic nationality is most eligible to produce the governor in 2015? It would be impertinent of me to even try to answer that question. As I said Rivers State is made up of at least 19 distinct ethnic nationalities or groupings. Amongst them are Andoni, Asa, Egbema, Ekpeya, Etche, Okrika, Kalabari, Ikwerre, Ndoni, Ndoki, Ogoni, Omuma etc……. In the entire history of the State inclusive of the second republic, only three of these ethnic groups have produced elected governors of the State ……. 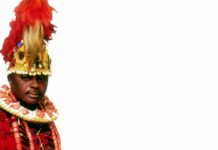 Chief Melford Okilo was from Amakalakala, a Riverine community which is in Nembe LGA in present day Bayelsa State. In 1979 when Chief Okilo was elected as governor this was part of the old Rivers State; the others in the third and fourth Republics are: Chief Rufus Ada George from Okrika; Sir (Dr) Peter Odili CON from Ndoni in Ogba Egbema LGA in the Rivers West Senatorial Zone; Sir Celestine Omehia from Ubima in Ikwerre LGA in Rivers East Senatorial zone; and Rt Hon. Rotimi Chibuike Amaechi also from Ubima in Ikwerre LGA in Rivers East Senatorial zone. So while I cannot in all honesty say which ethnic nationality is most eligible to produce the governor in 2015, I would suggest without any equivocation whatsoever, that a person of lkwerre ethnic extraction is not eligible to succeed the incumbent governor Rt. Hon. 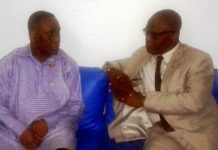 Rotimi Chibuike Amaechi CON and his immediate predecessor, Sir Celestine Omehia, both of whom were elected on the platform of the PDP. That is my understanding of the PDP Constitution and why I am asking for its interpretation by the Court. Having said this I must also say that I have the greatest respect for the Ikwerre ethnic nationality and their numerous prominent and accomplished sons and daughters. It would be invidious to try to name them. There are so many qualified Ikwerre sons including former Governor Celestine Omehia who nominated me to be a Minister in 2007. Just as Governor Ayo Fayose returned to office as Governor ofEkiti state, eight years after he served for only one term. Chief Omehia is certainly still ‘qualified’ to seek the office of governor as he only served for five months from 29 May 2007 to 26 October 2007. As a statesman and former Governor of the State, he himself has obviously conceded that under the PDP Constitution he is not ‘eligible’, only because his brother Rt Hon. Rotimi Amaechi elected on the platform of the PDP, has served in the office for more than seven years. The former Deputy Speaker House of Representatives Rt. Hon. 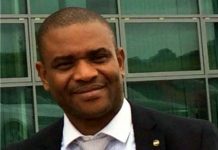 Austin Opara also comes to mind He too is eminently qualified to govern Rivers State, but under the PDP Constitution if power must shift amongst our diverse ethnic groups in accordance with our Party Constitution, then he too is ineligible. He too seems to concede this in the interest of equity and fairness that our Party Constitution nobly prescribes. This is what in my humble opinion also makes my respected learned colleague, Chief Nyesom Wike, not eligible to contest the gubernatorial primary elections which took place in defiance of a Court order or directive “not to foist on the Court a fait accompli” made on Thursday, 4th December, 2014 in the presence of the PDP’s lawyers. In some of your posters, you suggested that you are a symbol of the much – needed unity and peace in the State. Can you please comment on that? I have commented on that before but I am happy to do so again. Incidentally my name means peace……. the peace of God. The full name is Odeinteinm – “the Peace of God is the greatest” I believe that the looming violent tensions in Rivers State between factions or discordant voices even within PDP have been excerbated by the absence of inclusiveness of many important stakeholders in the state. The resources of the State have not always been fairly harnessed for the benefit of all communities in the State in an equitable manner-from the development of physical infrastructure to the distribution of social amenities. This is what has made the governorship race so divisive. Those who have been excluded see this as their opportunity to reverse the neglect. Those in control of the State Party machinery will do almost anything to preserve the status quo of exclusion. I represent a new beginning based on my orientation and philosophy of using power for the benefit of all. I would seek to win over my opponents and not to drive them out of the State. If elected, how do you intend to make Rivers State prosperous once more? Beyond implementing the plan that I have already described to you in my outlined framework, I would like to re-emphasise the key elements and objectives of that plan which are to, build a self-sustaining economy by encouraging investment in the State. I believe that my credentials – academic, professional and political speak for themselves. With the utmost humility I present myself as the best the PDP can offer to Rivers State at this time when internal party unity is fragile and there is the absolute imperative of returning a PDP government to Brick House. My priorities will be attracting to Rivers State both domestic and foreign direct investment. My experience as a corporate lawyer and international arbitrator means that I understand investors (domestic and foreign) well and will create incentives to make Rivers an industrial and manufacturing hub on the basis of a careful deployment of science, technology & innovation for development. My vision includes protecting our very fragile eco – systems and waterways, rehabilitation of fresh water rivers where sand mining has practically extinguished the local aquatic life. I assure Rivers people that I will make well informed policy choices to increase IGR and balance our budget. I will draw from the immense wealth of experience and talent in the state and beyond – from the private sector, from academia, from among politicians and from the Rivers Diaspora to make Rivers State prosperous. I intend to build a cohesive forward-looking, knowledge and innovation driven Rivers State where the rights of all are respected with a leadership that will respect and be faithful to the law. You have dazzling credentials that amply qualify you to become the Governor of the State. How do you marry this with the difficult task -of Governance going by your gentle disposition? Governorship is about intelligently harnessing, managing and deploying resources for the benefit of all. I think that has got to do more with the one’s brain than one’s brawn. A calm and gentle disposition that is conciliatory and accommodating can only be a strength. Let me assure you however, that the executive powers that I will possess and exercise as Governor of Rivers State will more than be sufficient to compensate for the misplaced perception in any quarters of weakness on my part, based on my God given gentle disposition. You have dragged PDP to court, what are your prayers? When you put it that way, it may suggest that I have a grouse with the party. In reality I do not! I am a longstanding and loyal member of PDP which as I said is the only true national party with no one person or group dominating its decisions or choices. If I could seek the Courts’ interpretation of the Party Constitution without making PDP a party to the suit I would have done so. Under our legal system however I am required to make them a party to the suit. The law indeed regards them as a necessary party. I am essentially asking the Court whether the PDP Constitution is a binding and enforceable document, or not. If the Court finds that it is, I am further asking the Court to interpret certain sections of it especially pertaining to power shift /rotation /zoning of key political/party offices amongst the diverse peoples in our State and to determine whether or not these provisions of the PDP Constitution make a person of Ikwerre ethnic nationality in particular ineligible to contest the Gubernatorial Primary election in Rivers and a fortiori the Governorship election, having regard to the fact that the incumbent governor who was elected on the platform of the PDP and would have been in office for two terms of four years each is also of Ikwerre ethnic nationality. Mr. Nyesom Wike is today a huge factor in Rivers PDP, what is your candid advice to him bearing in mind that several ethnic groups are aggrieved over his Governorship bid today being an Ikwerre man? I am not in a position to give Chief Nyesom Wike any advice in this context. It would be presumptuous of me to even contemplate doing so. As aspirants for the office of governor, we were all required to make a declaration under oath to abide by the rules, regulations and laws of the party. In submitting our expressions of interest, this declaration was to required to accompany our nomination forms. The Constitution of the Party is undoubtedly the most fundamental of the rules of our Party. I pointed this fact out to the Chairman of the National Working Committee of the PDP in a petition that I wrote to him raising the issue in advance of my subsequently instituted Court action in my spirited attempt to exhaust the Party’s internal mechanisms for the resolution of disputes. It would seem that Chief Wike and I disagree on the place and importance of the Party Constitution and its enforceability or on the interpretation of its power shift and rotation provisions. I am hopeful that the matter in Court will resolve our disagreement for this and other similar matters. Should PDP adopt a consensus arrangement going by the level of acrimony within it in Rivers State? As an aspirant, I cannot advise the party in that regard. The relief I’m also asking for in Court is that the Court should void the process by which Chief Wike emerged as the PDP flag bearer. I do not wish to preempt what the party might consider to be appropriate thereafter. Hon. Dakuku Peterside has emerged as a consensus candidate of the rival APC. What type of Guber candidate does PDP need to effectively checkmate him at the polls? The answer to that is simple. Me! But seriously, there are several other most competent and experienced men and women amongst the other aspirants for Governor of Rivers State. Each would naturally claim to be the best. Otherwise they would not be in the race. The Kalabaris have so many governorship aspirants within the PDP, is there any plan for some to step down for you? I would be genuinely surprised by any such proposition. But let me say that I myself would be willing to step down for several of the other aspirants including non Kalabari ones in the interests of promoting unity, mutual respect and cohesion in the State and in the Party. Let me also say that if our geo politics and power rotation/zoning considerations of eligibility made it the turn of an Ikwerre person or a person from the Rivers East Senatorial zone, I dare say that Chief Nyesom Wike would certainly not have been the only aspirant from the four Ikwerre LGAs. Many other equally prominent Ikwerre sons and daughters would have stepped out. So I personally do not find the number of Kalabari aspirants to be peculiar or unusual. 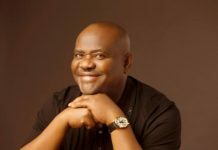 Are you now going to put your support behind Chief Wike now that he has won the primaries? I would really prefer to reserve my answer to this question until the Court matter is concluded. Your question could well be moot. Isn’t the matter over now that Nyesom Wike so overwhelmingly won the primaries on 8th December? The Court made it clear at the last hearing on Monday, 8th December, 2014 that the conduct of the primaries has not extinguished my rights as Plaintiff or the substance of my claim which is essentially seeking an interpretation of the PDP Constitution and the eligibility or otherwise of any person of Ikwerre ethnic nationality as an aspirant/candidate for the Office of Governor and successor to the incumbent Governor and his own predecessor, who are both of the same Ikwerre ethnic nationality. Clearly, the matter is not yet over.